Models from LDV and Haval buck the trend for poor safety performance from Chinese vehicles with the achievement of 5-star ANCAP ratings. Two more Chinese brands have achieved the top rating from independent safety authority, ANCAP (Australasian New Car Assessment Programme), with 5 stars awarded to the LDV T60 and Haval H2. The Honda CR-V also scores the top safety rating. “The LDV T60 dual cab pickup truck enters the Australasian market this week with the 5 star rating it needs to gain sales traction in the highly competitive utility segment,” ANCAP Chief Executive Officer, Mr James Goodwin said. 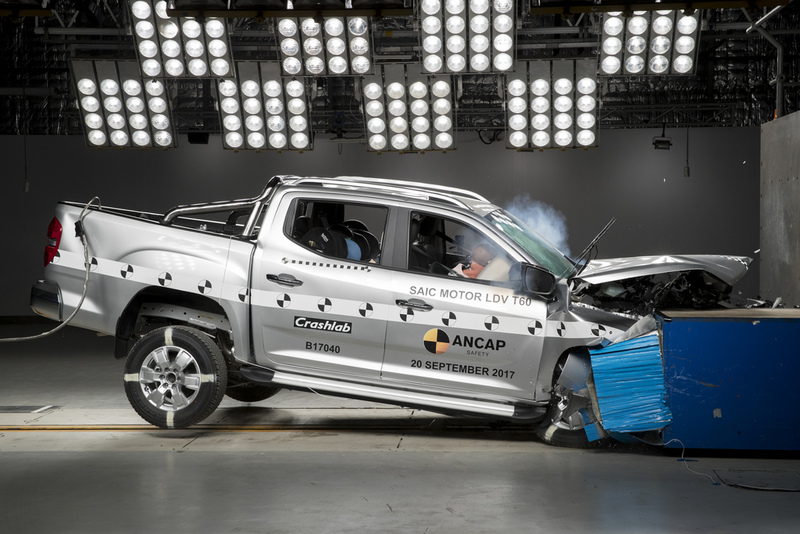 “The T60 performed well in our crash tests, although like all light commercial utes currently rated, it lacks autonomous emergency braking,” Mr Goodwin added. The 5 star rating applies to all 4WD dual cab T60 variants.